One of the last states where Hattie has not visited is North Dakota. On July 28, 2018 Hattie made a trip to North Dakota. 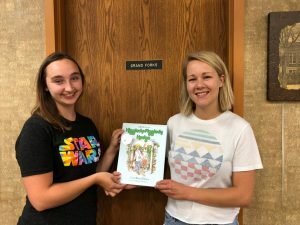 Mariah and Megan from the Grand Forks Public Library accept the new addition to their book collection. 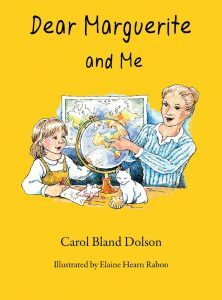 Barnes and Noble has invited Finalist Georgia Author of the Year Carol Dolson to read her new children’s book Dear Marguerite and Me. Mrs. Dolson will be signing her book immediately after the reading. 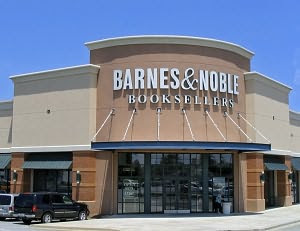 The event will be held at Barnes & Noble on the Atlanta Highway in Athens, Georgia. The event will take place in the Children’s Department with the reading at 11:00AM and signing at 11:30AM. 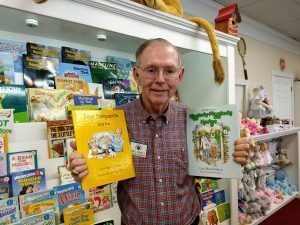 Finalist Georgia Author of the Year for Children’s Book, Carol Dolson will be signing her new award winning book Dear Marguerite and Me at Avid Book Shop on December 8th. The event will be held from 5:30PM to 7:30PM. Avid Book Shop is located in Athens, Georgia. The award winning third book by Carol Dolson will be featured in the Christmas in the Park Celebration in Winterville, GA. The event will be held at Front Porch Book Store from 5:00PM to 8:00PM. Please stop by and visit. 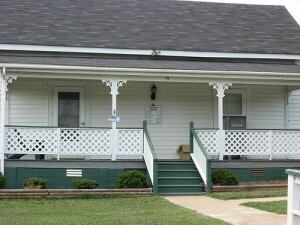 Front Porch Book Store is located at 102 Marigold Lane, Winterville, GA.